5.4 Gbit/s date rate per lane. video bandwidth 10 bit,162 Mhz. 1. Compliant with Display Port: 1.1a standard. 2. Support high-resolution: up to 1080P. 3. Output interface: VGA &Stereo Audio L/R. 4. Display port: support 5.4 Gbit/s date rate per lane. 5. 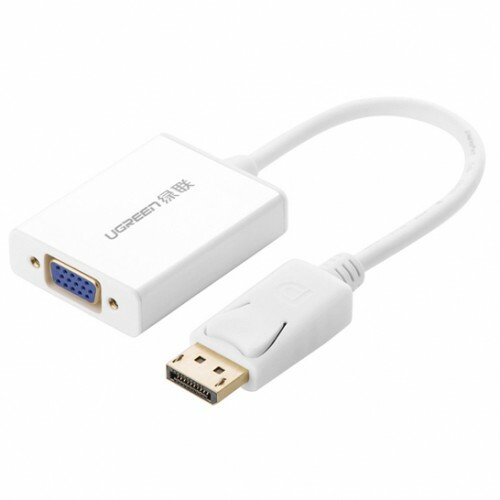 Support VGA: video bandwidth 10 bit,162 Mhz. 8. Support Windows: XP,VISTA, 7,Mac OS X v10.5 or later.